We’ve had the chance to talk to David Sheeshka, 46, a Canadian expat who has moved to Ecuador with his wife. Mr. Sheeshka who has been living there for four years now works as a webmaster/IT. A: Cheaper living, Climate, Not to work as hard. A: From a scouting vacation to see what Ecuador was like. A: Since the fall of 2012. Q: What has been the most difficult experience you've had when you were new in Ecuador? A: Dealing with the manana culture, and inefficiency. Q: Would you say that formalities like getting visas or work permits and international health insurance were particularly difficult in your host country? What was your experience with these? A: It is not that difficult, it just takes time because of the bureaucracy and their love of paperwork. A: Better, my wife can chill easier than I can. My job does not allow me for that. A: I mainly speak with North Americans due to the nature of my job. A: The area is great for outdoor recreation. Excursions to farms, hiking, ATV fun, and beach combing. Not to mention all the activities that come with the ocean. Swimming, surfing, kite surfing, fishing, etc. A: Wine you can buy cheaper Argentinian for under $6 a bottle. Good imports are $20 plus. Cigs I don’t know. I don’t smoke. They are under $3 for sure, though. Q: How do you find the local culture and people in Ecuador? A: The people are friendly, and like to laugh at your bad Spanish, however, they are eager to help. A: Positives are experiencing food and culture, cheaper cost of living and the climate is a big deal for a lot of North Americans coming here. Relatively stable country. The negatives would be learning to adapt to the way things are done. Such things like bureaucracy and the slow, inefficient nature of many governments and business procedures. One needs to be in less of a rush and learn to slow down in Ecuador. Petty theft in the big cities is also a concern. I have not experienced any myself, but I always remain vigilant. A: Yes, the modern conveniences of Wal-Mart and Home Depot. A: For me, it is not a problem. I go back one time a year minimum regardless. A: Maybe, time will tell. A: Waiting in line at the bank for nearly two hours. The inability to take out much money from the ATM (my bank capped at $300 per day. That includes debit transactions. Finding an ATM that will actually give you your limit, without going to multiple ATM machines. Top pet peeve for sure. A: Visit the country first, at least for a minimum of three weeks. Travel around and really get a feel for the different regions if you can. The coast is much different from the Mountain regions. Q: Do you have favourite websites or blogs about Ecuador? 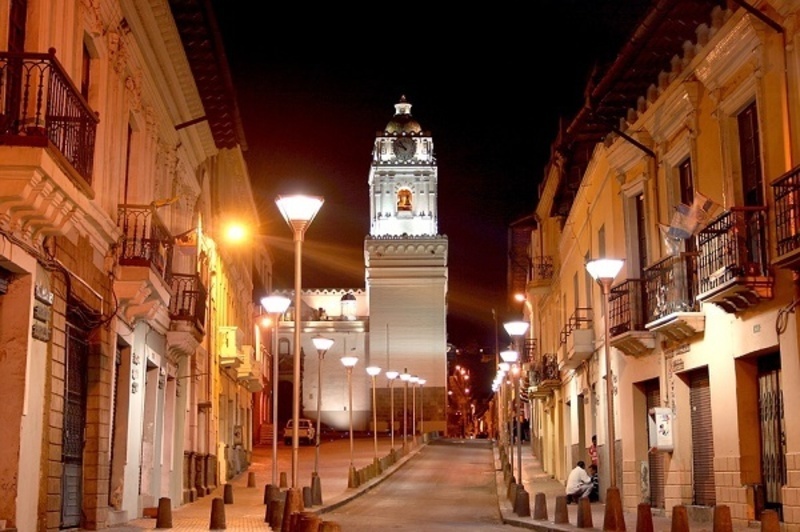 A: I like the expat exchange and of course my own Retiring in Ecuador.